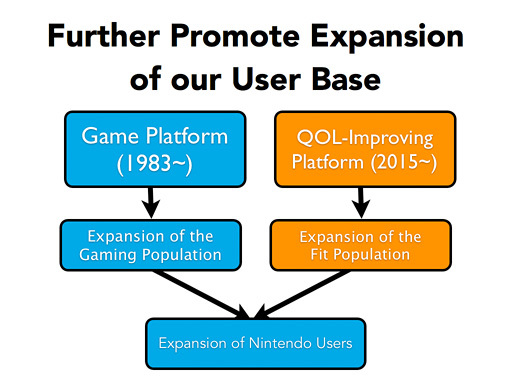 KoopaTV: Nintendo's Quality of Life Initiative — Immortal? By LUDWIG VON KOOPA - Then as the old saying goes, he who Koops and runs away, lives to Koop another day! The first quarter (Q1) has ended for Nintendo (as of June 30), and so we have some new sales numbers. 4.7 million Nintendo Switch consoles sold (an increase of 2 million in 3 months), and Mario Kart 8 Deluxe has sold 3.54 million copies, compared to The Legend of Zelda: Breath of the Wild only selling a total of 3.92 million copies. Neither the Switch or Zelda numbers include my own post-quarter Nintendo Switch purchase. We can also now say that it's not FAKE NEWS if you made a story like, “Nintendo Switch has sold more hardware in four months than the Wii U has sold more in five months.” However, that's not this article's headline, since there's something else a bit more interesting. There was no 2014 statement about Quality of Life. From 2013 and before, Nintendo had a different annual report format where they apparently didn't have to talk about what they actually do. Nintendo said they would employ a leapfrog strategy to go from console to non-wearable, skipping mobile and wearables. Well, doesn't seem like they skipped mobile at all. I wonder what the one or two dudes who have been working on the Quality of Life division in the company have been doing for years and what kind of deadlines they have. I dunno, seems pretty cushy. Personally, as someone who appreciates sleeping, I would appreciate Nintendo doing something to improve my quality of life in the sleep department. Obviously, their 2015 date was leapfrogged, too. 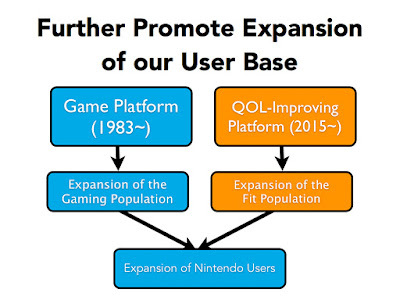 While Nintendo believes that the quality of life initiative, whenever it happens, would expand their total Nintendo user base, I don't know if anyone outside of Nintendo's existing base would use Nintendo-branded non-wearable devices tracking their sleep and fatigue patterns. A similar thing to what Nintendo would be doing (the smartphone app WakeMode) already exists. I would think that someone who isn't already a Nintendo customer would rather go with a company dedicated to this kind of activity, should they recognise its value to begin with. I would only invest money into something like this BECAUSE it's made by Nintendo. That is what has me interested to begin with. Do I think like a normal person? I don't know, and maybe it won't matter if this thing never releases. Do you think Nintendo's QOL research group has been doing anything these past several years, or are they just sitting around and getting paid to do nothing? Would you be interested (in a “I would pay money for this” sense) in what Nintendo has to offer, even if it wasn't Nintendo offering it? ...Even with Nintendo offering it, would you be interested? The second quarter of the year has ended. Nothing on QoL, though. The third quarter of the year has ended. Nothing on QoL, though. The fourth quarter of the year has ended. Nothing on QoL, though. ...Since that's the whole year, this article will stop being updated in this fashion until there IS something on QoL. I'm not entirely sold on this idea but then again we still know absolutely nothing about the concept. It just seems like such an odd venture for a video game company to take. What will Nintendo come up with next? Well, for all we know, it's still an idea on a paper sitting there for 4 years. "Well, doesn't seem like they skipped mobile at all." 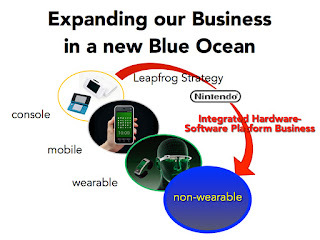 It's possible that by their leapfrog strategy, they could be referring hardware-wise. I wonder if, by "non-wearable," they're describing launching health-related kiosks in Japan, similar to how in some Kroger stores, there are Higi Stations to help with your weight. Or maybe it's probably just some projector you keep in the kitchen, office, bed, etc.. Again, who knows? "Obviously, their 2015 date was leapfrogged, too." Oh, like Breath of the Wild! "However, as I said at the beginning of the presentation today, Nintendo is a company that sees the true value of entertainment lies in its individuality. Following others into the exceedingly crowded market of mobile applications or the market of wearable technology that is expected to become increasingly competitive and fighting with brute force is not our way of doing business. Yet again, it is our intention to go into a new blue ocean. It's clear that mobile means software, not hardware. As for non-wearable, it's definitely something that will be in your home/near your bed, as some sort of Internet of Things-enabled sensor that will transmit data to the cloud.